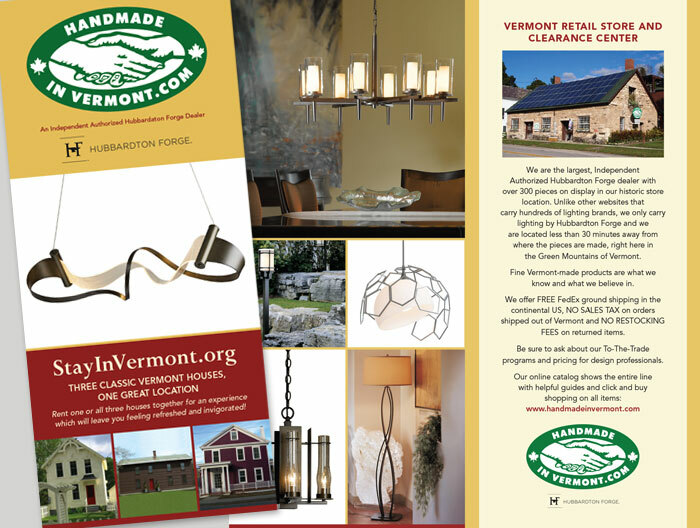 This brochure was created for Handmade In Vermont to showcase its retail line of Hubbardton Forge Lighting as well as their StayInVermont rentals. The piece was also designed to be placed in display racks at Welcome Centers throughout Vermont. It ties into other parts of Handmade In Vermont’s brand created by Padraic, including the logo and the website.